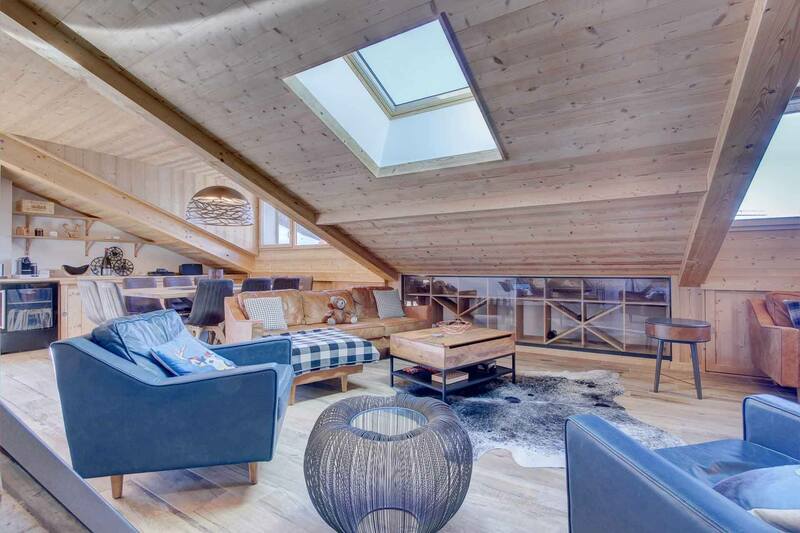 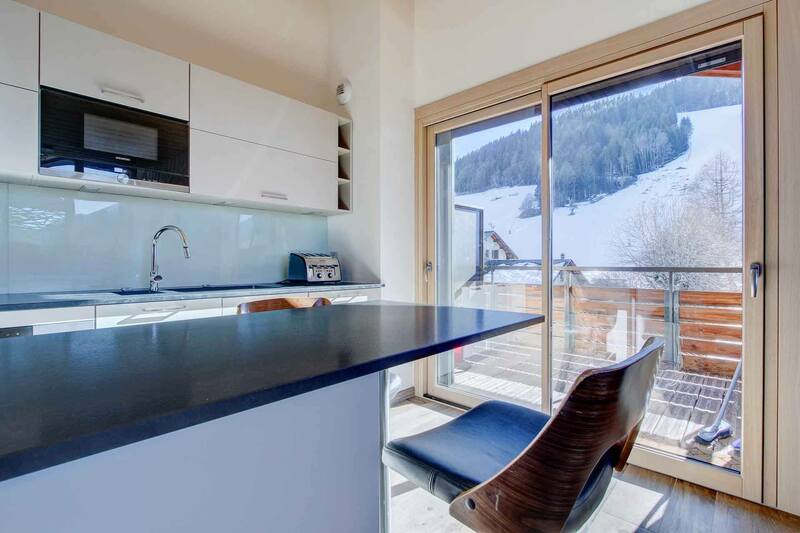 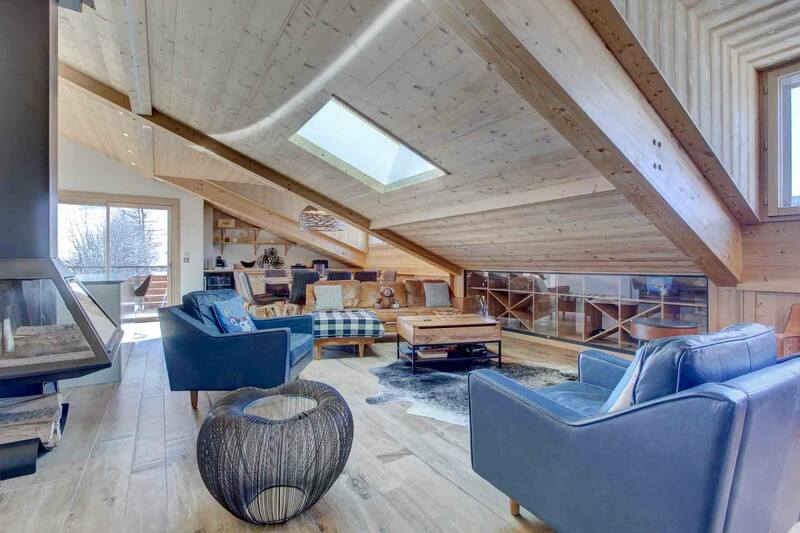 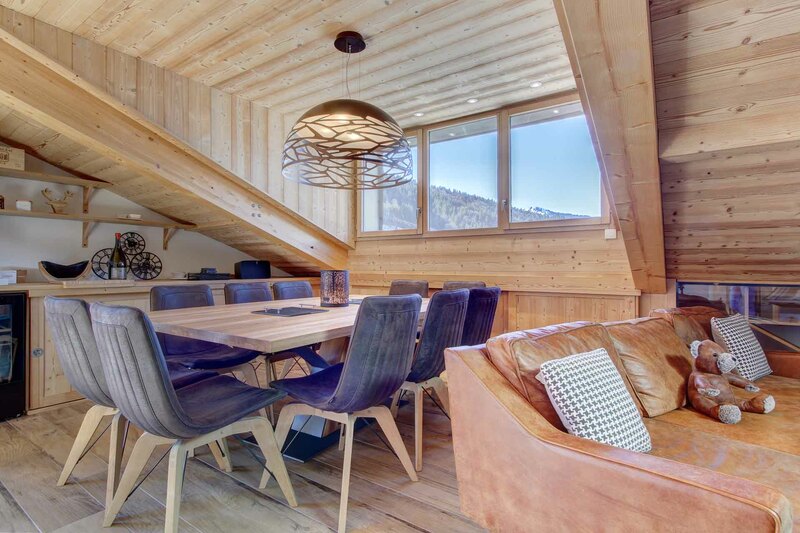 This stunning 4 bedroom duplex apartment, completed in 2018 is walking distance to the slopes and in the centre of Morzine. 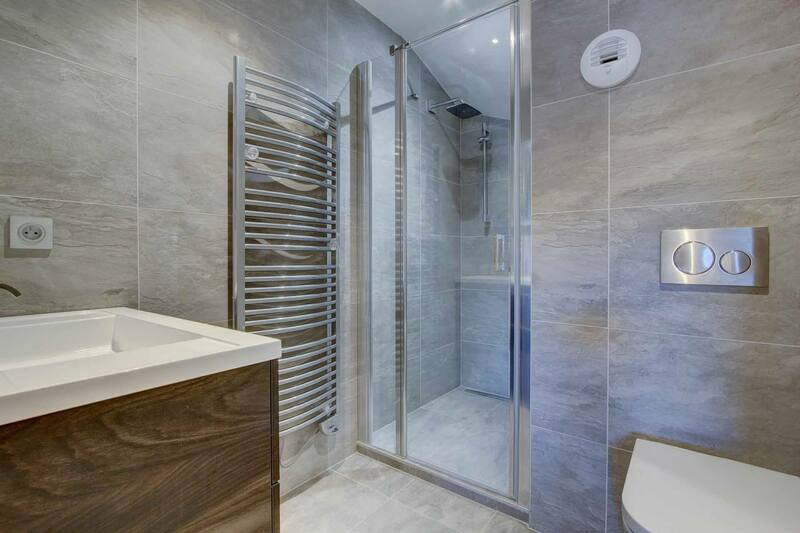 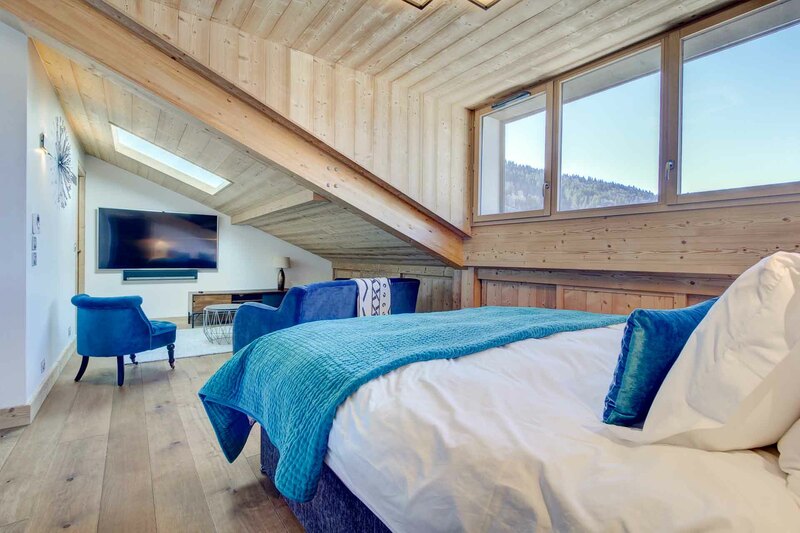 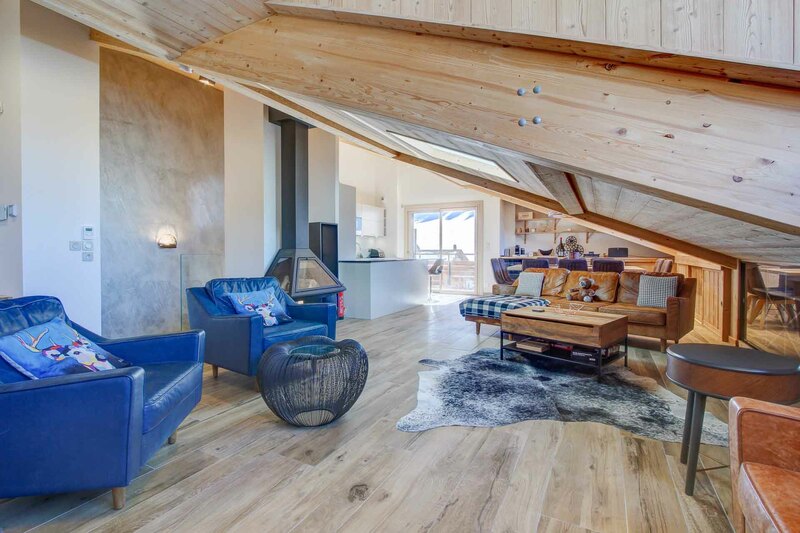 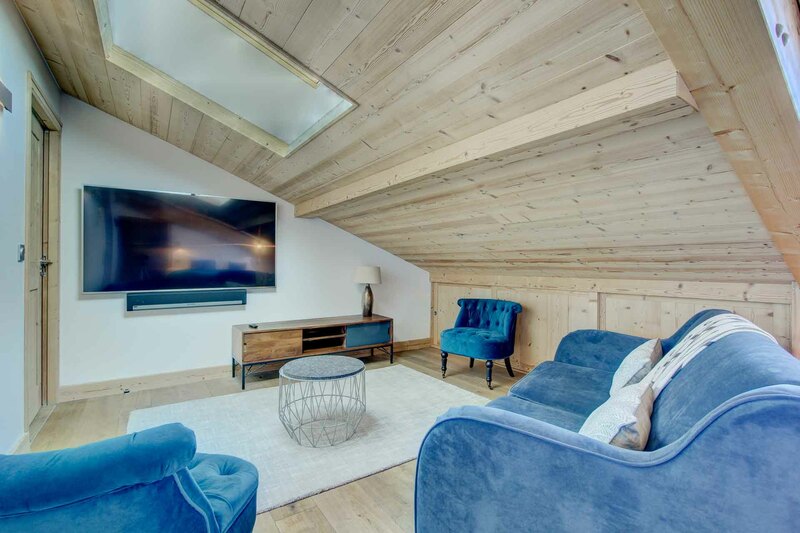 In an exclusive development of luxury apartments, the layout of the penthouse includes a spacious open plan living/ kitchen and dining area with vaulted ceiling, and a large balcony that looks onto the Pleney ski slope. 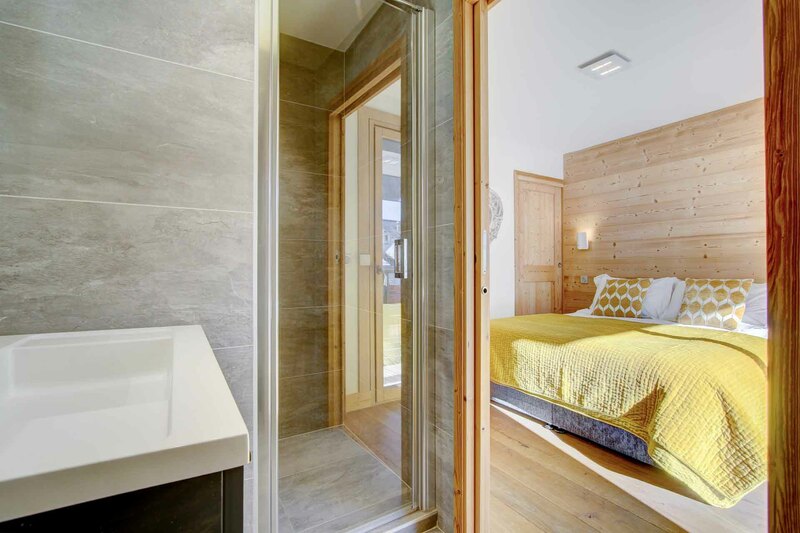 The large master bedroom also has a vaulted ceiling, and comes with a luxury bathroom with a bath and shower. 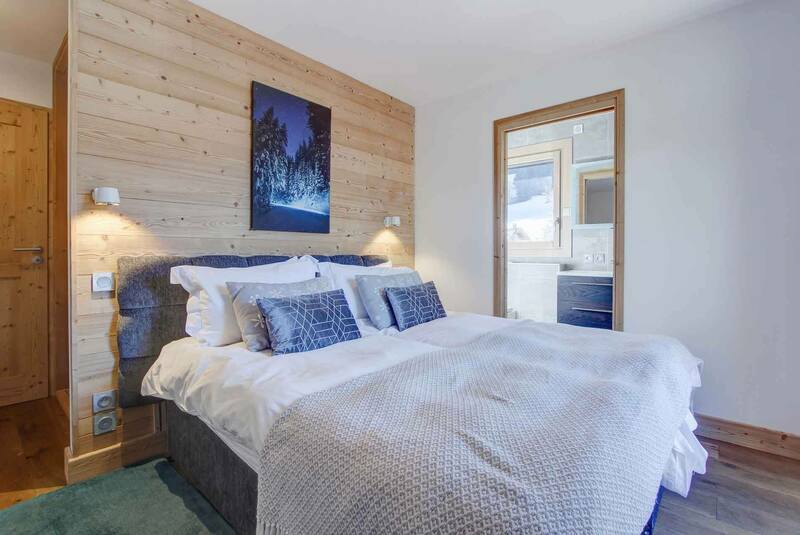 The duplex apartment set over two floors can sleep up to 10 people in its 4 ensuite double bedrooms with 3 of the bedrooms on the lower floor. 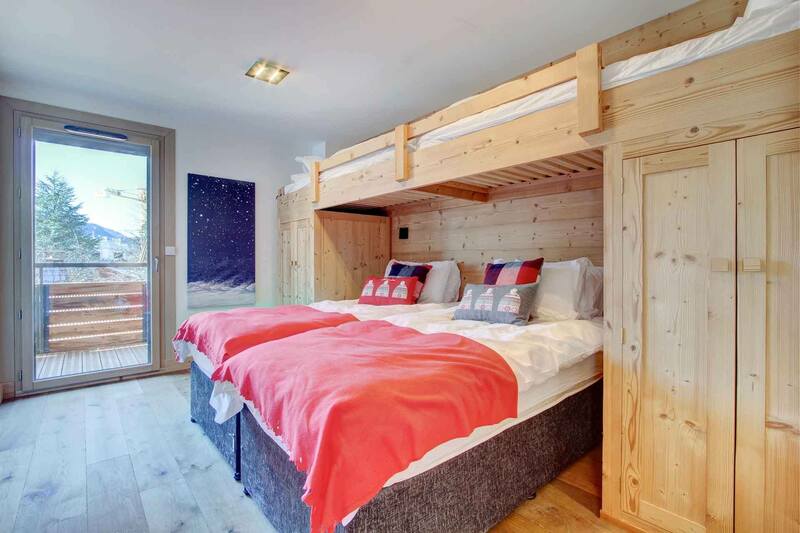 The twin family room is designed with an extra two bunks, ensuite, and balcony. 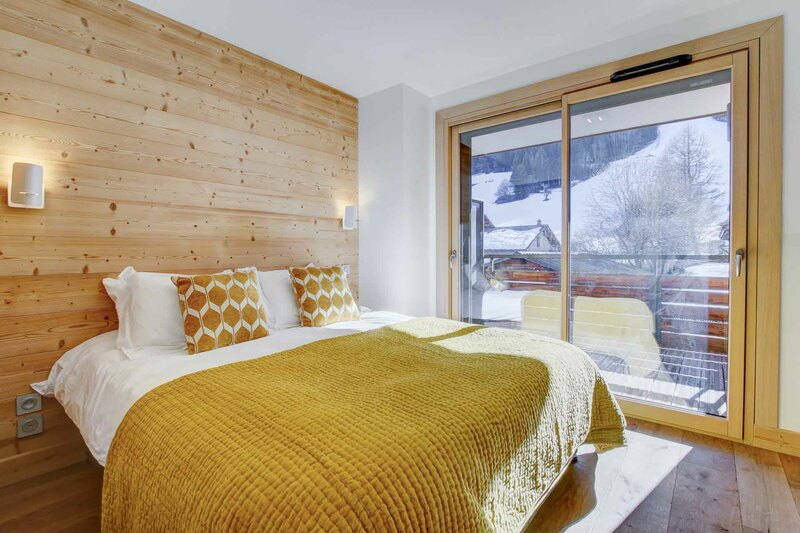 Both of the other two double/twin bedrooms also have balcony access. 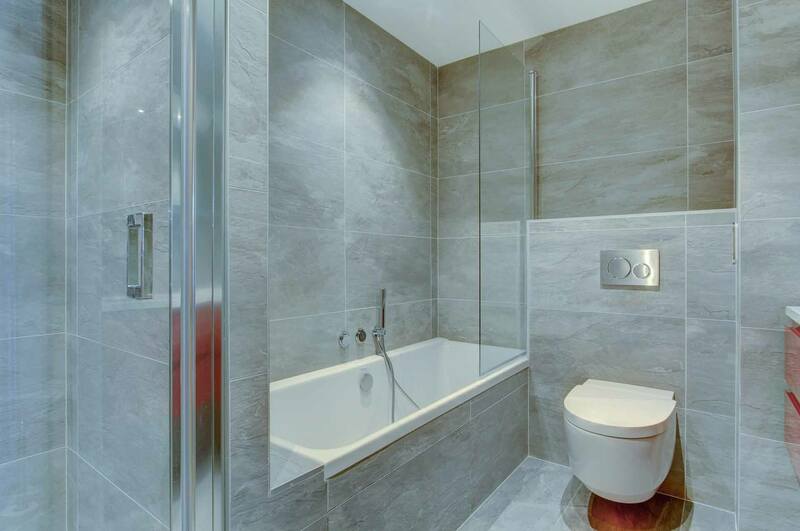 The kitchen is very nicely designed with state of the art appliances, and this apartment is sold fully furnished. 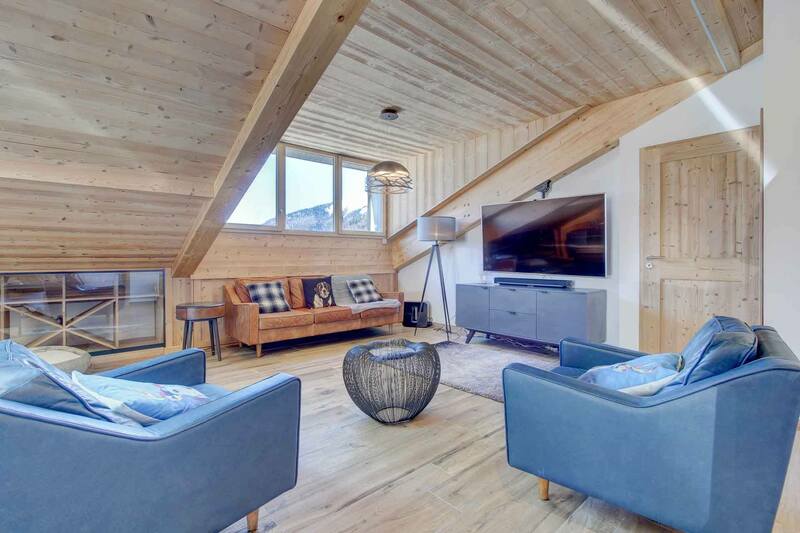 The location of this apartment is superb with south facing views, and the newly proposed chairlift taking you directly to Avoriaz to be just 2 minutes walk away! 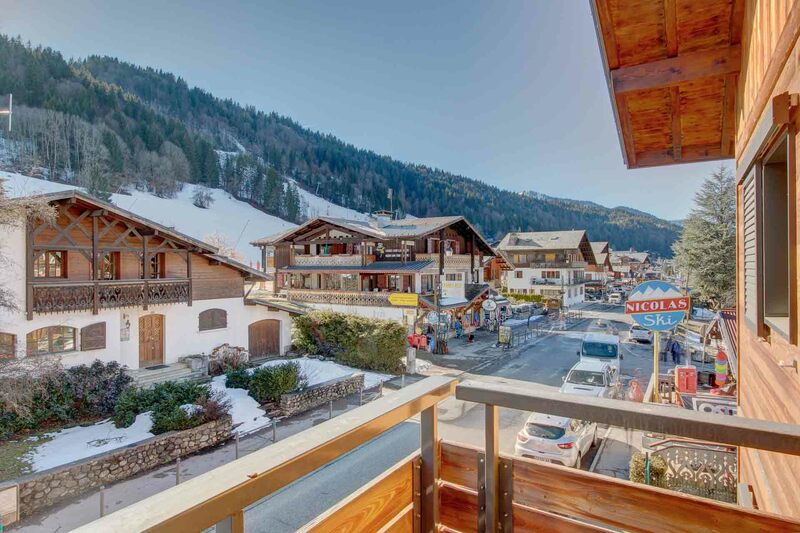 In the summer this area becomes one of Europes leading Mountain bike destinations. The area offers over 800km of walks and 600km of mountain bike trails. 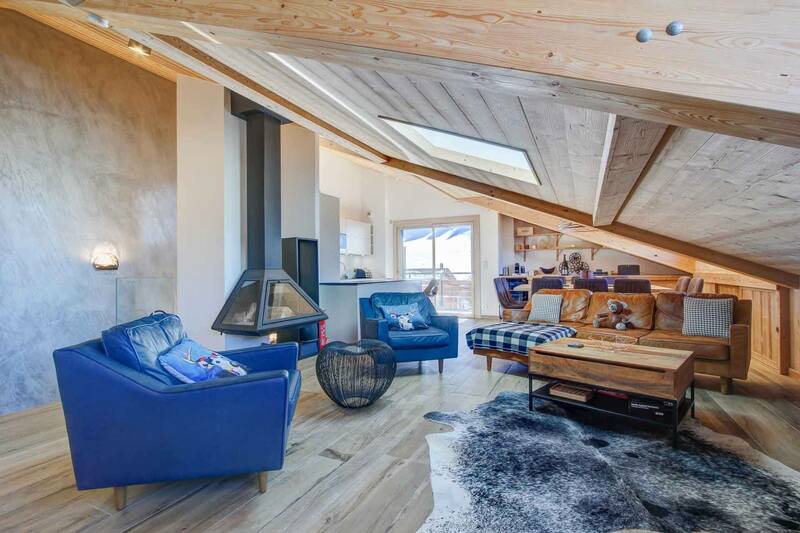 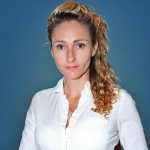 There are two stunning golf courses (Les Getz and Avoria), children’s adventure parks, horse riding, paragliding, climbing, kayaking, white water rafting, fishing, swimming and many other activities to keep everyone occupied.